The Yahapalana, having lost all credibility, is now resorting to thuggery through its highest officials (the Navy Commander), to ensure their existence. I wish MR had never called for early Presidential elections which brought the Yahapalana miscreants to power. 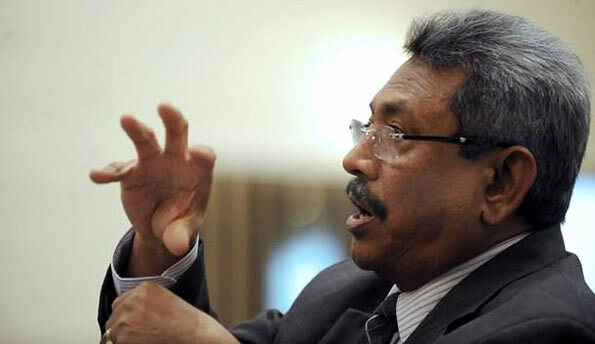 A curse has fallen upon the Nation; this curse will be lifted when legitimate rulers (the MR1 Govt, Mahinda, Gota, Basil and Chemal and Namal and Shiranthi and Yoshitha and Nirupama) are returned to the throne. all these days this guy kept quite and why now coming to the show, he is the problem creater. dont put fuel more.